Bob's Red Mill Baking Powder contains sodium phosphate, bicarbonate of soda, cornstarch, and calcium phosphate-contains no aluminum! 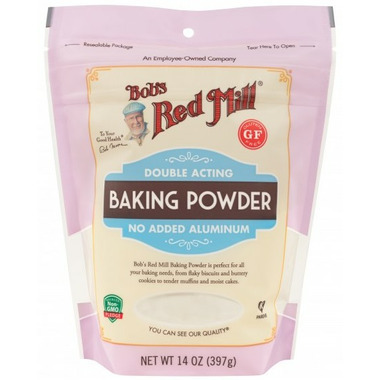 Bob's Red Mill Baking Powder is the perfect leavener for all quick breads, waffles, pancakes, cakes, and all your non-yeast baking. There is absolutely no bitter aftertaste! Love this brand!! And no added aluminum! !